This is the first map for Minecraft Pocket Edition 1.2 (no, now it's called Minecraft 1.2) where you will see all the items from the change list. This is very useful if you do not want to search for new items in your inventory. Perhaps the main feature of this map is the description for everything that was added to MCPE 1.2. Signs were the only items for writing text, but thanks to books you can write whole stories, leafing through the pages. The author of the map used this method and added a description for each feature of this update. 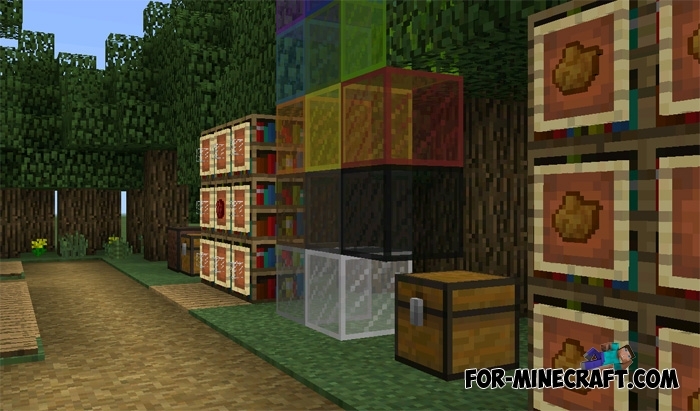 There you will learn more about armor stands, firework rockets, stained glass and other objects added to Minecraft PE 1.2.